Home / Le blog / Mount your horse, we go to the Medieval ! Mount your horse, we go to the Medieval ! And if we returned to Middle-Ages for some days ? 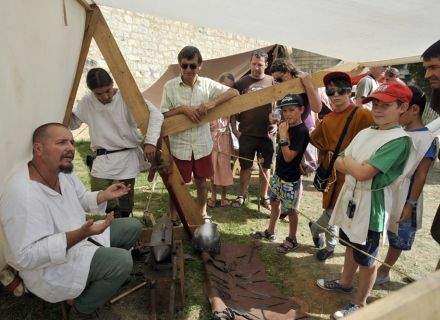 The Castle of Coudray-Salbart to Echiré organizes the Medieval of Coudray-Salbart from 14 till 17 August, from 10 am till 12 am and from 2 pm till 6:30 pm (rate 7 €, reduced 4 €). 4 days in dumping in the yard of this military fortress of the 13th century ! You always wanted to know how took place the life of luxury ? The “Franche du Khatovar Company” and “The Purple Knights” are going to make you relive this time through various activities. The hirelings of the “Franche du Khatovar Company” will set up their permanent camp in Coudray-Salbart. Smell and taste bud of the curious will shiver near their kitchen. 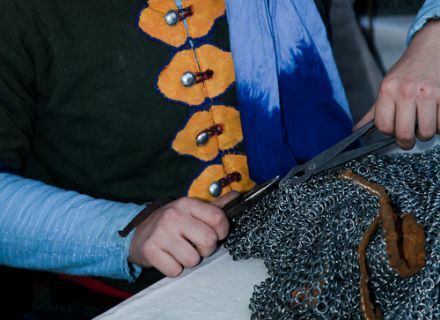 Chemist, haubergier (Making of chain mail), weaver, worker of the leather… The presenters of every profession will make interactive demonstrations and will pass on their passion and their knowledge of the craft. You can participate in all the activities and leave with a small object made on the spot (leather or in stitch bracelet, written in a decorative hand first name). 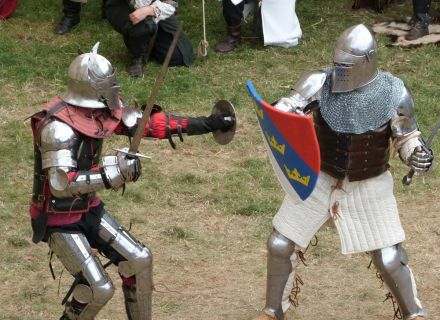 Middle-Ages is obviously known for its knights, its epic battles… The amateurs of medieval fights are going to be served. 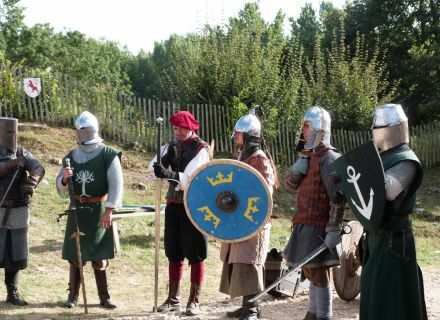 Go to discover the military camp, support your hero, enter the lists and fight your enemy, try to extract Excalibur of its cliff… The troop of the “Purple Knights” is going to make you vibrate at the rate of fervent fights and legendary stories of the Round Table and King Arthur ! The fortress of Coudray-Salbart was built in the first half of the 13th century. It was in the heart of the fights between the Capetians of France and Plantagenêt of England. In 1154, Poitou falls into the hands of king of England Henri Plantagenêt who married Aliénor of Aquitaine 2 years earlier. Poitou hands on to the hands of king of France Louis IX in 1242 further to its victory to Taillebourg. The castle of Coudray-Salbart loses bit by bit of its strategic importance. The fortress is overtaken by the new means of attack. Classified as Historic Monument since 1952, the castle of Coudray-Salbart appears now as the fortified castle of the 13th century the best preserved by France and by England. It arouses the interest increasing archaeologists. 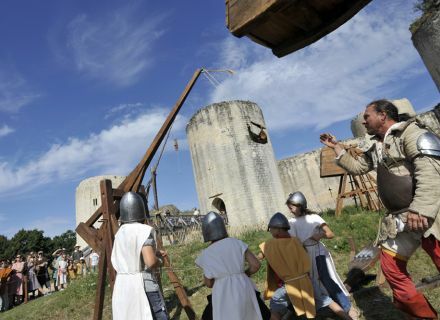 Having organized the construction sites of rescue and restoration during more than 30 years, the association of the Friends of the castle of Coudray-Salbart manages the site for the Conglomeration of Niortais. She proposes conducted tours, school visits, educational activities and numerous animations there during spring and the summer. In high season, the castle is opened to the visit every day except Tuesday, from 10 am till 12:30 am and from 2:30 pm till 6:30 pm. Conducted tours at 11 am, 15 hours and 17 hours. Children, Ladies and Masters : in the assault ! Photo credits : Association of the Friends of the castle of Coudray-Salbart, Dari.